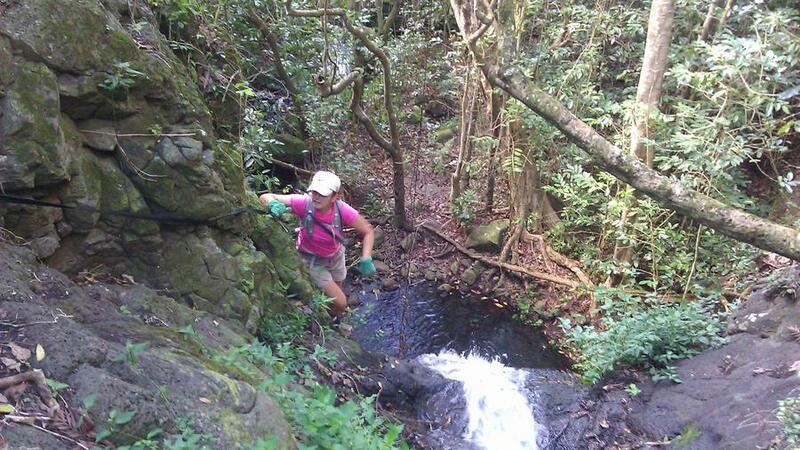 Today Stanka, Tony and I headed up into Wai`anae Valley to do a little TM on the WWW Trail near the water fall. 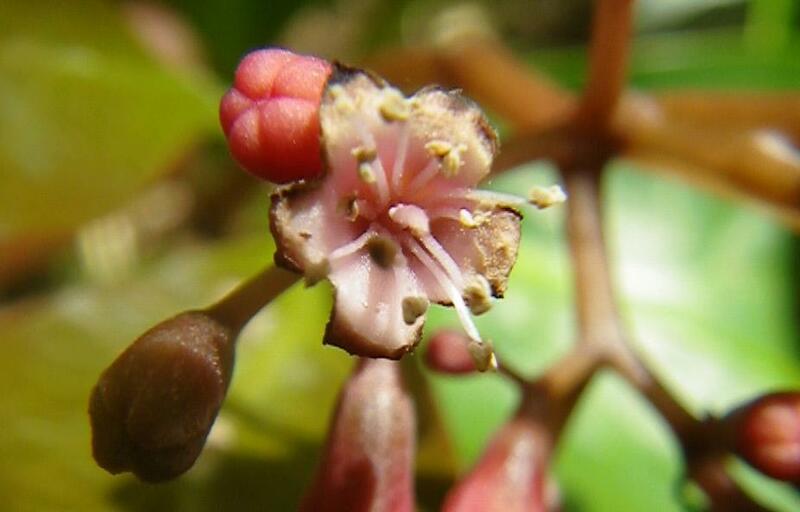 Done w/that we then hike a bit farther up the WWW, crossed over to the Water Works Trail and then "hopped" onto the Wai`anae Ramble. We would up where the Ramble ends on Ala Kepau (roads end) Ridge and then came down to my truck completing the loop. On the way down I showed them a test plot where someone fenced off maybe a 40 x 40 foot area and planted a bunch of the native gardenia plant. Sorry I took no pictures of it. We noticed that someone, probably the same people, have marked another area close by that they are going to clear and most likely plant more natives. Here is Stanka coming around the corner on the waterfall section. 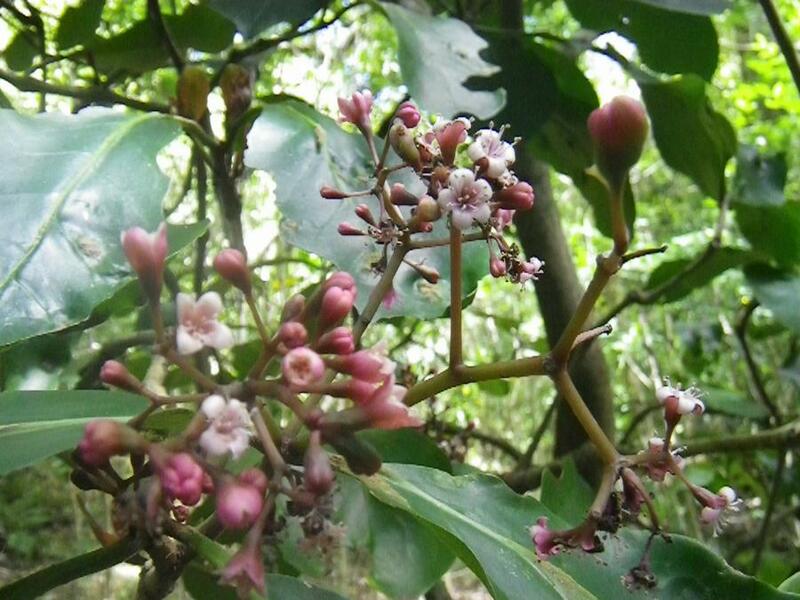 Hours later we passed some Papala Kepau trees in flower. Never noticed it before but they have a nice fragrance. Once back on the paved road I had a chance to take this panorama of the upper valley. The skies were incredibly clear today. 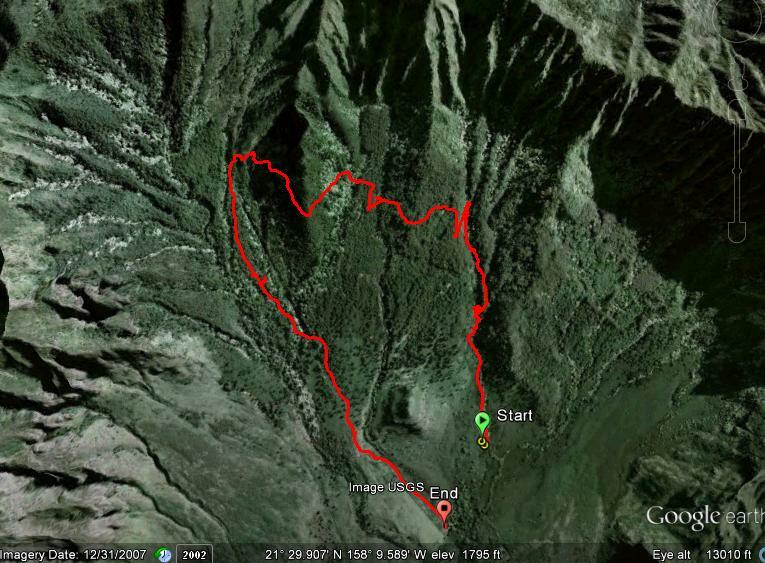 Here is a Google Map track of today's hike. I forgot to turn on my GPS when we first started so I missed part of the loop. The Start should be at the same place that the Stop is.